More than 170,000 adults in New Mexico became eligible for Medicaid in 2014. The vast majority of them did not previously have access to primary care. As the state struggles to maintain an adequate care network of physicians, physician assistants, and nurse practitioners, it is a good time to enroll in a nursing education program and help meet the population’s needs. According to the U.S. Dept. of Department of Health and Human Services, 32 of the 33 counties in New Mexico are designated as Health Professional Shortage Areas, or medically underserved. The rate of the Primary Care Health Professional Shortage Area nationally is 19.1%. In New Mexico, the rate is more than double the national average at 40.5%. Since the state relies on Registered Nurses to provide the bulk of health care services, there’s clearly a need for RNs and APRNs to care for those suffering from chronic diseases and the newly insured population. The growing mean age of the population and growing access to care due to health reform will increase the demand for health care professionals. Researchers forecast the growing shortage of RNs nationally – despite an increasing number of new graduates. New Mexico is expected to have the largest shortage ratio in the nation. The state requires more than 2,530 registered nurses who will progress to advanced practice to fill the short supply of primary care services. Registered nurses with a BSN degree meet the entry requirements for enrolling in MSN advanced practice nursing programs. The graduate MSN program gives RNs with a baccalaureate degree the opportunity to continue their education. Graduates are prepared to assume roles in health care as a nurse practitioner, nurse anesthetist, or clinical nurse specialist – based on their area of concentration. The overall objective of the program is to produce nurses prepared for all areas of advanced practice. They can assume leadership roles in administration, education, or nursing, apply their advanced clinical knowledge to promote, maintain, and restore optimum health, participate in research opportunities, develop healthcare policy, and develop collaborative relationships to improve health care delivery on an agency or organizational level. 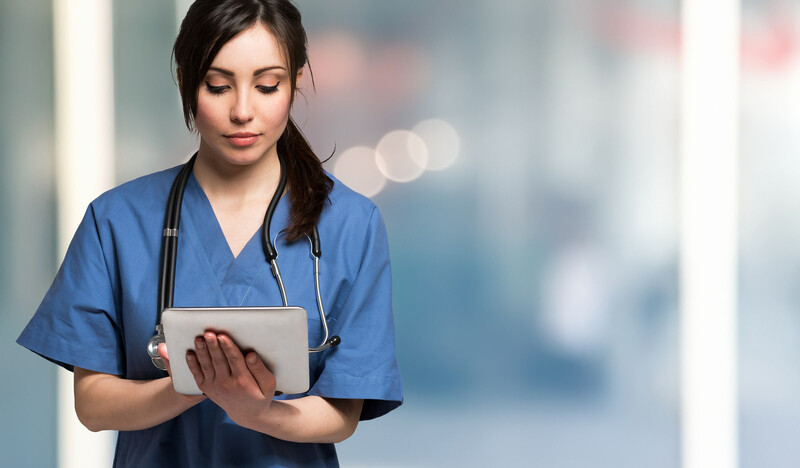 The use of educational technologies to deliver the course content online is convenient for working RNs in New Mexico and other regions. Online programs may require on-campus orientation for the first semester. Additionally, students will be required to meet the clinical requirements at a local practicum site. The Master of Science in Nursing curriculum builds on the student’s professional experience and baccalaureate education. However, individuals with a non-nursing bachelor’s degree can enroll in the program after meeting the prerequisites. Depending the concentration selected, the student will complete 36 to 48 credit hours of graduate-level coursework over a duration of one to two years. Graduates are eligible to take a national certification exam in their area of specialty – nurse practitioner, clinical nurse specialist, nurse anesthetist, etc. RN to MSN: In rare cases, a registered nurse with an associate’s degree in nursing can enroll in the MSN program. As the enrollment in MSN programs become increasingly competitive, schools are requiring applicants to possess a bachelor’s degree at minimum. Nevertheless, those programs that admit nurses with an associate’s degree will require that they have at least one year’s experience in the field and take transitional courses before commencing the graduate-level coursework. The RN to MSN route is a time-saving and cost-cutting measure for nurses seeking entrance into advanced practice. 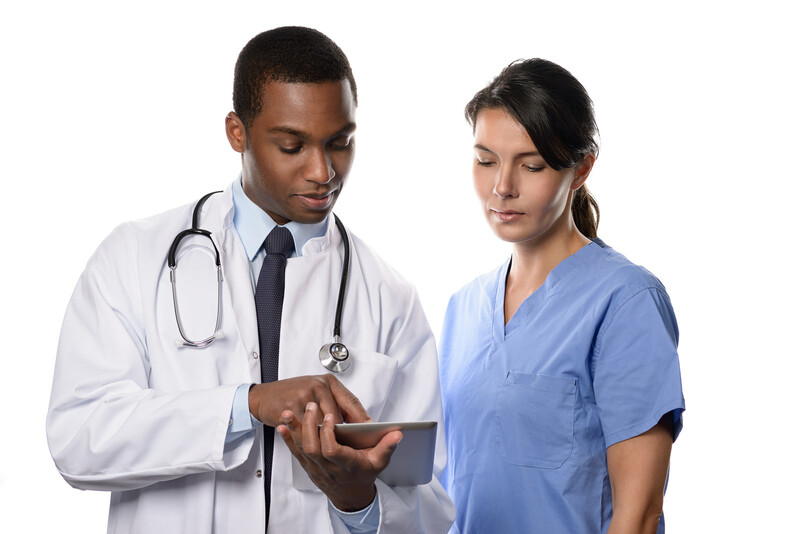 Direct Entry MSN: The most common route of entry, RNs with a bachelor’s degree can enroll in an MSN program to continue their education and qualify for advanced practice. The curriculum continues where the bachelor’s degree concludes and gives nurses with busy schedules the flexibility and convenience to complete most of the coursework online. The student must maintain an active, unencumbered registered nursing license throughout the program, which will be necessary for completing the clinical practicum. Applicants with a non-nursing baccalaureate degree may also enroll in the program on the condition that they meet the extra admission criteria. Post-Master’s Certificate: A Post-Master’s Certificate option is available for nurses who hold an MSN but wish to complete additional graduate work in another area of specialty. Applicants for the post-master’s certificate will have a master’s degree, an RN license, and certification to practice as an advanced practice nurse. The specific requirements for admission are as varied as the schools themselves. The proliferation of online degrees makes it easier to enroll as it reduces the competitiveness caused by limited classroom space. Keeping in mind the important role that advanced practice nurses play in the delivery of primary care, and the nature of the work, schools may require applicants to demonstrate their commitment to healthcare and provide glowing academic and professional references as the criteria for selection. With just a few accredited MSN programs in New Mexico, you can increase your chances of enrollment by studying the requirements and meeting them as closely as possible and submitting applications at other accredited schools in other states across the region. Complete the prerequisite courses with a grade C or higher – specifically for applicants with a non-nursing bachelor’s degree of nurses with an associate’s degree. Possess a minimum 3.0 GPA on all prior coursework. A bachelor’s of nursing degree from a nationally accredited school. Enroll in the university as a graduate student before applying to the nursing program. Attend a personal interview with a program representative. Submit official transcripts of post-secondary coursework. Letters or professional and academic references. Registered nursing licensure in New Mexico (or another compact state) and one year’s experience as the nurse. Depending on your specific area of concentration, the school will outline additional requirements. Prerequisites courses will depend on your prior education and experience. Nursing students, employed or otherwise, depend on federal dollars to help fund their education. Nursing Workforce Development Programs designed to ensure workforce stability and the quality of healthcare is an advantage that nurse students have over those enrolled in other areas of specialty. But even with aid from multiple sources, a graduate degree can be costly and will place some strain on your budget. At an average cost of $560 per credit for resident tuition, New Mexico student nurses can expect to pay approximately $21,280 for tuition plus extra for resource materials, textbooks, and other essential supplies. Complete your FAFSA as soon as possible. You can submit the application via the internet. Graduate students must be enrolled part-time – 5 credits. Scholarships for nursing students, trainee stipends, and teaching assistantships could also help reduce the cost of the tuition. The Nurse Educator Loan for Service Program is a nursing student specific loan you can use to help pay your way through graduate school. Employer reimbursement for your tuition and financial resources listed on the American Association of Colleges of Nursing website are some other avenues you can explore. A completed and signed application for initial licensure as a Nurse Practitioner. The application fee of $100 payable using a credit card or money order. Official transcript of the nursing practitioner education sent directly to the Board from the educational program. A completed Verification of Nurse Practitioner Education Form completed by the program director and sent to the Board’s office. Verification of initial certification sent directly to the Board from the National Certification Organization. You may be eligible for a work permit if you’re not nationally certified. A completed prescription affidavit or verification letter from the preceptor. A formulary of dangerous drugs and controlled substances that may be prescribed. The formulary should be relevant to your CNP specialty and practice setting. The Board may audit your formulary. A completed and signed application for initial licensure as a Clinical Nurse Specialist. Official transcript of the CNS education sent directly to the Board from the educational program. A completed Verification of Clinical Nurse Specialist Education Form completed by the program director and sent to the Board’s office. A formulary of dangerous drugs and controlled substances that may be prescribed. The formulary should be relevant to your CNS specialty and practice setting. The Board may audit your formulary. A completed and signed application for initial licensure as a Certified Registered Nurse Anesthetist. Official transcript of the nurse anesthetist education sent directly to the Board from the educational program. A completed Verification of Certified Nurse Anesthetist Education Form completed by the program director and sent to the Board’s office. Verification of initial NBCRNA certification sent directly to the Board. You may be eligible for a work permit if you’re not nationally certified. Agree to adhere to the current formulary approved by the Board of Nursing. Nurse practitioners, clinical nurse specialists, and nurse anesthetists can apply for prescription authority only after completing the additional educational requirements and submitting official transcripts to the Board. A completed prescription affidavit or verification letter from the preceptor on an official letterhead and a Board-approved formulary are the other requirements for obtaining prescriptive authority. A graduate work permit is available upon written request to the Board. The applicant must meet all the provided requirements – except the certification by a national organization. The GNP, GCNS, or GNA must practice under the direct supervision of another CNP, CNS, or CNA and prescribe medication only under direct supervision. The Board will issue the permit to the employer, and it cannot be transferred or renewed. The initial license as a nurse practitioner, clinical nurse specialist or certified nurse anesthetist will be issued after the board receives proof of certification directly from the national nursing organization. New Mexico’s advanced practice nurses must renew their certification with the RN license renewal. Renewing online is fast and easy, and you can update your demographic information during the process. You’ll need the license number and registration code for your first online renewal. The request to renew your license must be within 60 days prior to the date the license expires. If your primary state of residence is a compact state other than New Mexico or your license is in inactive or lapsed status, you should print a renewal application and mail your request to the Board of Nursing – Do Not Submit the Renewal Online. APRN and APRN license reactivation fee -$400 renewing late; license current within last 2 years. APRN/CRNA: Provide documentation of NBCRNA recertification. APRN/ CNP/ CNS: Provide documentation of National Certification – a current formulary will be required if you are audited. CRNAs must have current recertification by NBCRNA and Recertification of Nurse Anesthetists. CNP and CNS must complete 15 CEs of pharmacology, 5 in specialty, and 5 in the management of non-cancer pain (for those with a DEA registration). All CEs must be completed within the 2-year period preceding the license expiration. The continuing education requirements are in addition to the 30 CEs required for RN renewal.